Here at OnStage, we take months to research the best Musical Theatre programs to come up with our own lists. We base it off cost vs. scholarships, curriculum, performance opportunities, facilities, the experience of faculty, career support, everything you yourself would consider before making a college choice. We even have gone as far to call admission offices to ask them questions. Fast Fact: Students have the opportunity to attend master classes given by actors, writers, directors, choreographers, and casting directors who are currently active in the city’s professional theatre community—the kind of real-world experience that only New York can provide. Recent master classes include Joanna Gleason, Randy Graff, Victoria Clark and Bebe Neuwirth. Fast Fact: All musical theater students audition for Main Stage and Studio productions (plays and musicals) beginning spring semester of freshman year. Their production season consisting of between 9-12 productions (2-3 of them musicals). Additional performance opportunities include The Black & Latino Playwrights Conference, The New Works Playwriting Festival, New Musical Workshops, special projects with M.F.A. directing and playwriting students, and D2 Festival of student directed work. Fast Fact: The music theatre program is housed in Center for the Arts, a 75,000-square-foot facility specifically designed for teaching and performance. The centerpiece stage is McCrary Theatre, a fully equipped performance space with seating for 575. The 125-seat Yeager Recital Hall offers a more intimate setting along with digital recording capabilities, and the center’s fully outfitted 100-seat Black Box Theatre can be configured to any arrangement, from proscenium to arena. The Center for the Arts also houses modular practice rooms, three dance studios, a design studio, rehearsal rooms, a complete scenery shop and costume shop, computer labs, classrooms and Steinway concert grand pianos. The brand new 13,500 square foot Scott Studios houses Roberts Theatre, a 200-seat adjustable and fully outfitted black box theatre, along with a large rehearsal hall and dance studio, practice rooms, and shop facilities. Fast Fact: In the freshman and sophomore years, your dance, acting, and music training begins immediately with over 20 hours of in-class studio instruction per week including private voice lessons, vocal repertoire class, basic piano skills, scene study, voice and movement for the stage, ballet, jazz, and modern dance. Fast Fact: Renowned faculty includes Prof. Kate Gelabert. Professor Gelabert has worked as a guest instructor/choreographer for the Pennsylvania Centre Stage Theater, Seaside Music Theater, Florida Dance Association, The Musical Theater Project of Tampa (directed by Ann Reinking), Southern Ballet Theatre (now Orlando Ballet), Walt Disney World, the Burt Reynolds Institute for Theatre Training and the Universidad Nacional Departments of Theatre and Dance in San Jose, Costa Rica. Fast Fact: Each Winter, BFA Musical Theatre students and faculty spend a long weekend in NYC. The itinerary is packed with master classes by Broadway artists in voice and dance, show tickets and talk backs with cast and creative teams, and alumni interaction that fosters a sense of Penn State musical theatre alums that assist their current students and recent graduates in a myriad of ways as they acclimate to living and working in NYC. 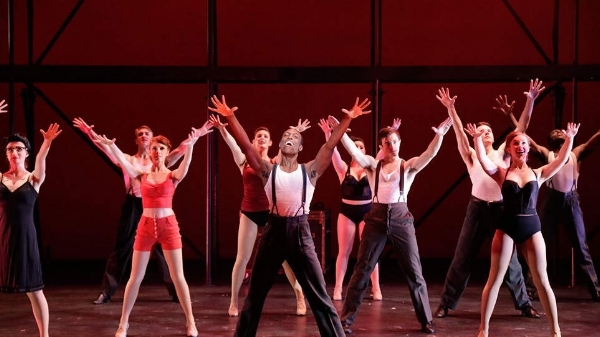 Fast Fact: Over the years, BW has produced six regional premieres in partnership with Playhouse Square and received national attention for academic premieres of Broadway productions. Among its credits, BW produced the first-ever in repertory productions of La Boheme and Rent. Other recent academic premieres have included: Brooklyn: the Musical, [title of show], Passing Strange, Lizzie Borden, Murder Ballad and the new version of Saturday Night Fever. BW is a proud member of the National Alliance for Music Theatre. Fast Fact: A special experience is a unique partnership of the Carnegie Mellon University (CMU), the national American Society of Composers and Publishers (ASCAP), and Pittsburgh Civic Light Opera (CLO). Through this partnership, students work with professional musical theater leaders to create and present a new musical work. School of Drama alumnus, Stephen Schwartz, (of “Wicked,” “Godspell” and “Pippin” among other works) often returns to the School of Drama during this time to lead workshops and support this collaboration. Fast Fact: Established in 1968 by Helen Laird, the musical theater program at the College-Conservatory of Music is the oldest in the country and served as the model for the National Association of Schools of Theatre accreditation guidelines. 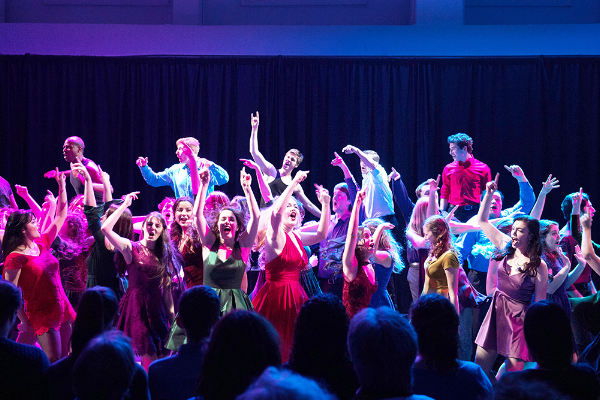 The Musical Theatre program at CCM is book-ended by showcases, a Freshman Showcase wich serves as a debut for the incoming class and a Senior Showcase which serves as a "Capstone" Experience. Each year the graduating class in Musical Theatre travels to New York to present a showcase for agents and casting directors. The work is created by the students themselves under faculty direction. The class selects a theme for the showcase, then blends musical numbers, narration and monologues into a cohesive whole. They create the musical arrangements, supply the choreography and staging, direct the scenes and are responsible for every aspect of the production. Fast Fact: The program features liberal arts coursework which includes required studies in college-level writing, American or world history, and language. All remaining academic electives are free choice, and may be selected from across the range of U-M offerings. Musical Theatre majors often participate in MUSKET shows (student-produced musicals), Basement Arts shows, Gilbert and Sullivan Society operettas, faculty-directed plays, and productions by the Ann Arbor Civic Theatre as well as the Michigan Opera Theatre. The University is also affiliated with the Purple Rose Theatre in Chelsea, Michigan.